In the U.S., there are a minimum of 300,000 sport-related concussions per year. If your child is in contact sports, there’s a risk of the contact ending up in a concussion. In fact, research suggests that the number of documented cases of concussions among children is on the rise, and is a source of growing concern among soccer and football players. Chiropractors may not be the first medical professional you imagine when it comes to concussion management, but many chiropractors are trained to spot the signs of a mild traumatic brain injury and support the patient in a successful recovery. Two recent literature reviews outlined how chiropractors can effectively manage athletes with concussions. Chiropractors are often the first healthcare provider to care for patients who are suffering from a head injury, such as those incurred in sports or car accidents. Chiropractors, especially ones who are certified additionally by the American Chiropractic Board of Sports Physicians, regularly manage athletes who suffer from concussions. Because a concussion is a brain injury caused by a direct blow to the head, neck or face, there’s a good chance that the blow has caused a misalignment of the cervical spine. This is similar to whiplash causing a misalignment of the cervical spine. A chiropractor can evaluate whether you demonstrate signs of neck injuries commonly associated with concussions, and provide you with relief from neck pain and cervicogenic headaches. Now let’s ask the question again. Chiropractic care for concussion? Absolutely? Johnson, C.D., et al. Chiropractic and concussion in sport: a narrative review of the literature.Journal of Chiropractic Medicine 2013 (12):216-229. As you may have noticed, research over the past few years has begun to reveal that acetaminophen (the primary ingredient in Tylenol) is not as safe as once thought. A new study (published in the Journal of the AMA – Pediatrics) has shown an association between the use of acetaminophen during pregnancy and the "risk for developing attention-deficit/hyperactivity disorder (ADHD)–like behavioral problems or hyperkinetic disorders (HKDs) in children." 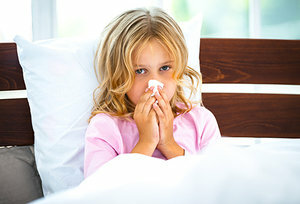 Researchers found that "children whose mothers used acetaminophen during pregnancy were at higher risk for receiving a hospital diagnosis of HKD, use of ADHD medications, or having ADHD-like behaviors at age 7 years. Stronger associations were observed with use in more than 1 trimester during pregnancy." They ultimately conclude: "Maternal acetaminophen use during pregnancy is associated with a higher risk for HKDs and ADHD-like behaviors in children." What makes this study so profound is that acetaminophen is probably one of the most commonly used / prescribed drugs for pain and fever during pregnancy. According to the FDA, "in 2005, consumers purchased more than 28 billion doses of products containing acetaminophen." A "hydrocodone-acetaminophen combination product has been the most frequently prescribed drug since 1997." All drugs have side effects. In this case, acetaminophen (also known as paracetamol) has been heavily marketed to the American public since the early 1950s. Children's Tylenol was first marketed in 1955. Now, more than 60 years later, we are still learning about new adverse reactions, ones that our children's children will be stricken with for decades. The frightening reality is it will not be long before you know the mother of an ADHD child who took Tylenol while pregnant, or hear of a woman who overdosed on prescribed pain drugs. Sadly, serious drug-related adversity is already happening in your community. Don't be a victim. Talk to your doctor of chiropractic for more information on drug-free solutions. What does soda have to do with your child's aggressive behavior? Quite a lot, according to a new study. Researchers recently found that children who consumed soda tended to measure higher on scales that measure aggressive behavior than kids who do not drink soda. The study published by The Journal of Pediatrics was cautious to blame soda entirely for aggressive behavior, but it did make a connection. Researchers used an existing study of mothers and their 2,929 children from 20 large U.S. cities. The mothers and children were first recruited between 1998 and 2000 to be periodically interviewed and evaluated. According to the study, mothers completed a checklist on children's behaviors over the previous two months to measure withdrawal, attention and aggression. The mothers were also asked how many servings of soda their children drank per day and about other habits such as TV watching. Overall, 43 percent of the kids drank at least one soda per day and 4 percent drank four or more servings. Aggressive behavior was measured on a scale between 0 and 100 - with higher scores indicating more aggression. Kids who reportedly drank no soda scored 56 on the aggression scale, on average. That compared to 57 among kids who drank one serving per day, 58 among those who drank two servings, 59 among those who drank three servings and 62 for four soda servings or more per day. Researchers found that drinking two or four or more servings of soda per day was tied to higher aggression scores. Overall, kids who drank four or more servings of soda per day were twice as likely to destroy other people's belongings, get into fights and physically attack people, compared to children who didn't drink soda, according to the study. 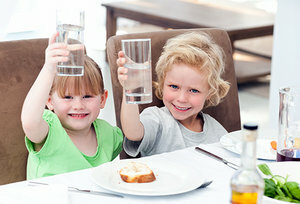 Stick to healthy beverages for your child such as water to stay hydrated. Water is all natural with no potential side effects on behavior.